Last week, Cisco announced a partnership with Microsoft to accelerate the deployment of private and hybrid cloud infrastructure worldwide. The plan calls for an alignment of sales teams and channel partners focused on integrating the Cisco Unified Data Center architecture and Windows Server 2012 Hyper-V and System Center 2012. Nexus 1000V Switch for Windows Server Hyper-V is a distributed virtual switching platform that provides advanced network virtualization features and tight integration with Windows Server 2012 Hyper-V.
EMC® VSPEX Proven Infrastructure Solution for Microsoft Private Cloud is a validated reference architecture that integrates Cisco server and networking components and EMC storage with Windows Server 2012 Hyper-V to provide customers with an easy on-ramp to the cloud. 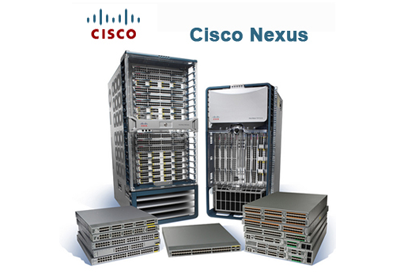 FlexPod with Microsoft Private Cloud is a validated reference architecture that integrates Cisco server and networking, NetApp storage and data management, with Windows Server 2012 Hyper-V and System Center 2012. "Over the last two years Cisco and Microsoft engineering teams have worked diligently to combine our industry-leading technology into integrated data center solutions. Now, we're taking the next step by investing together to rapidly accelerate demand for our private cloud solutions," stated Padmasree Warrior, chief technology and strategy officer, Cisco. Tellabs appointed Lawrence A. (Larry) Rieger its acting chief financial officer (CFO),replacing Tom Minichiello, who resigned to become chief financial officer at Westell. 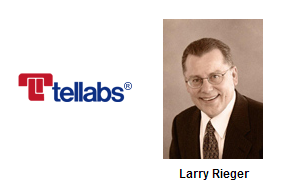 Rieger is a partner with Crowe Horwath LLP, and has worked closely with Tellabs since 2003. At Crowe Horwath since 2002, Rieger previously served as the managing partner and CEO of Crowe Horwath Global Risk Consulting Service. Tellabs also announced the promotion of Michael Miles from director – finance to vice president – finance and chief accounting officer. Miles joined Tellabs in 2005, bringing experience from UTStarcom, CommWorks, 3Com, U.S. Robotics and other companies.